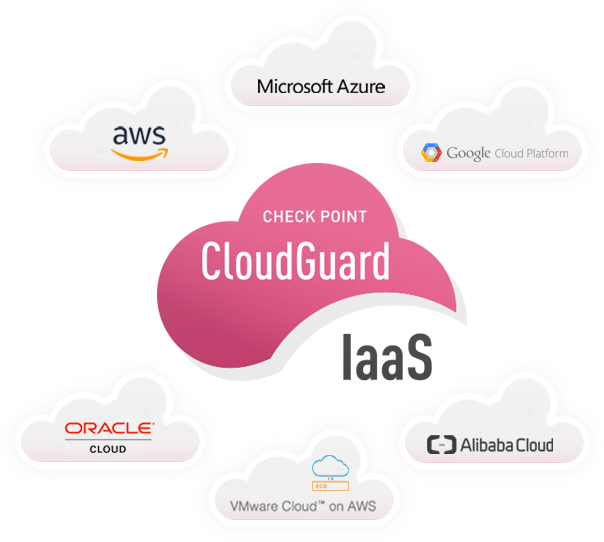 For more information about CloudGuard IaaS, contact us! Adopting public cloud infrastructure means security is now shared between you and your cloud provider. 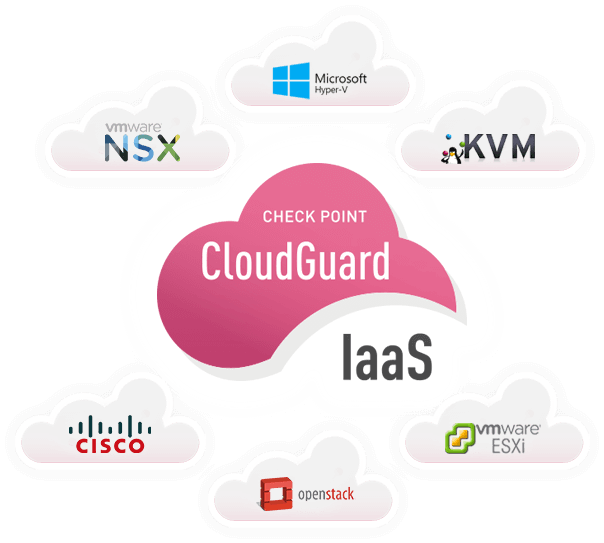 Check Point CloudGuard delivers automated and elastic security to keep assets and data protected while staying aligned to the dynamic needs of public cloud environments. Support for the broadest range of cloud infrastructures, including: AWS, Microsoft Azure and Azure Stack, Google Cloud Platform, VMware Cloud on AWS and more. Auto-provisioning and auto-scaling along with automatic policy updates ensures security protections keep pace with all changes to your cloud. Single unified console delivers consistent visibility, policy management, logging, reporting and control across all cloud environments and networks. Integration with leading hypervisor and private cloud solutions from VMware, Cisco, Open Stack, Microsoft and more, allows automated insertion and orchestration of security throughout virtual datacenters.